For a family-owned company that has been handcrafting some of the world's finest small leather goods and bags for getting on close to a century, London-based Ettinger has moved with the times, preferring to constantly evolve its products rather than sit back on its heritage haunches. That's not to say it has ever needed to reinvent itself - quality stands the test of time, but time, like trends, is a fluid beast, and if you fall asleep at the wheel, you'll be sure to crash. Thankfully, the founder's son, Robert has been steering his father's company with aplomb, so much so that the now iconic London tan is recognisable all over the world. Glimpse that flash of mustard yellow as someone opens their billfold at the bar and you just know it's an Ettinger piece (the 'London tan' was inspired by a fleet of buses that used to gather up Bournemouth’s commuters and deposit them in London). You can also infer that the man in question is one of extremely good taste. If you needed any more convincing, you would only need to go to Japan, where Ettinger has developed something of cult following in the last 10 years. If there was ever a culture that coveted quality and attention to detail (and no little amount of Anglophilia) it is the Japanese and the way they have adopted Ettinger's products is a stamp of approval if there ever was one. Most recently, Ettinger launched their new Capra collection, an evolution of their iconic tan pieces for a contemporary customer who is well-heeled, well-informed, and well... of impeccable taste. 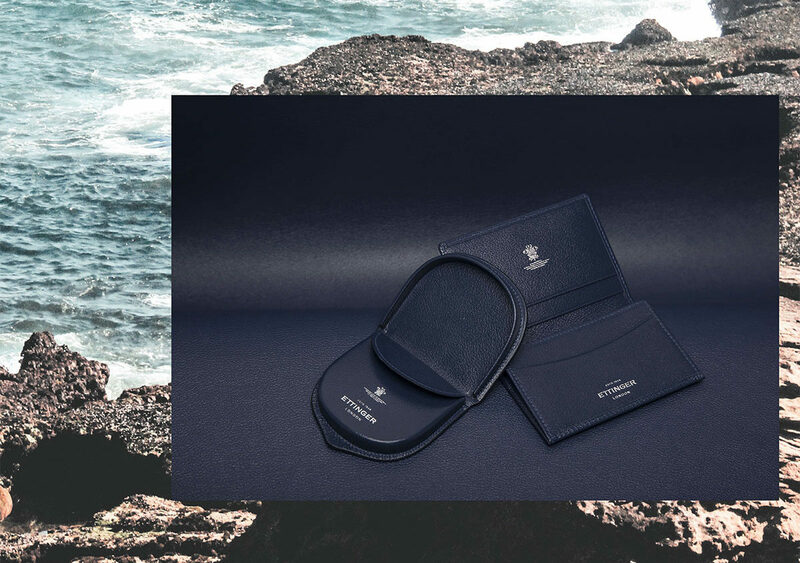 The any more is inspired by the 1930s - the Golden Age of Travel - when Ettinger crafted many travel accessories from the refined goat leather popular at the time. It combines the best of Ettinger’s heritage and tradition with modern design and colour, creating a harmony of old and new. Originally, goat leather was dyed black and brown, but colour choices are now less constrained and this latest range is presented in a cool palette including pure white and marine blue. These bright hues bring a new dimension, refreshing this classic leather for the modern age. Whether you're a classicist with one nostalgic eye on the past, or a modernist with one intrepid foot in the future, Ettinger's products are designed to be timeless. So in tribute to the amazing work Robert and his team have conducted over the years, we've made a short film showing Ettinger products in the wild, London's Soho to be precise. Because therein lies the magic of Ettinger's handiwork - beautifully made leather goods designed for everyday use in everyday situations. Shop all the Ettinger collections now on TheRake.com.